Nearly 100 dead pigs were seen along a 1-kilometer stretch of the Liuxi River in Shizhong Town of Longyan City in Fujian Province, the Strait Herald reported. The pigs were first spotted on Sunday. People took pictures and posted them online. 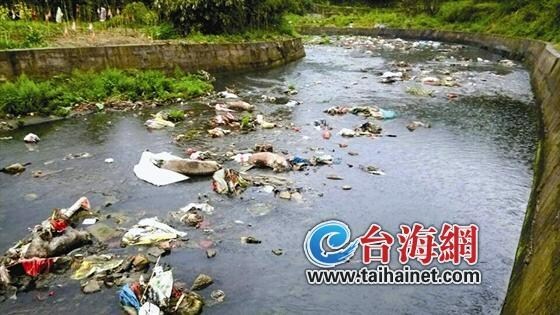 There were also rotting pig corpses in dozens of sacks under a bridge in the town and the horrible smell spread everywhere, a farmer was cited as saying. One town leader told the newspaper more than 300 dead pigs are thrown away each day in Shizhong. The town's vice mayor, surnamed Lai, was cited as saying that pigs died more frequently in the spring when respiratory diseases and infectious gastroenteritis were common. Some hog farmers refused to give vaccines to their pigs due to the cost as pig prices have dropped recently, Lai added. Farms with more than 500 pigs in the town are required to set up septic tanks before June 30. Farms found discarding dead pigs will be closed, the report said.